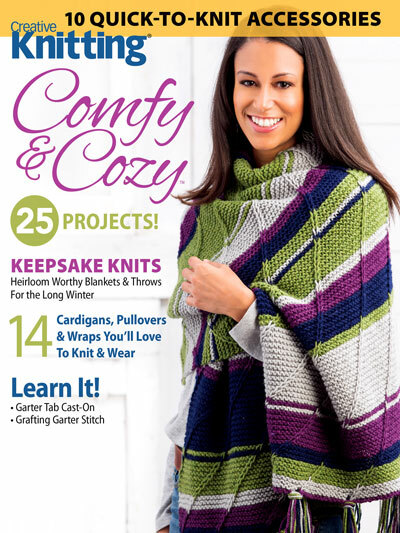 Keep comfy-cozy and toasty-warm all winter long as you knit the 25 soft and welcoming projects found in this special issue of Creative Knitting, Comfy & Cozy. 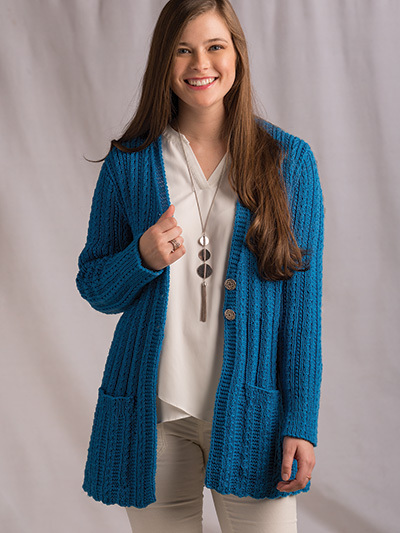 Dress up your knits with trendy tassels and fringes as you knit projects from our On the Fringe chapter. 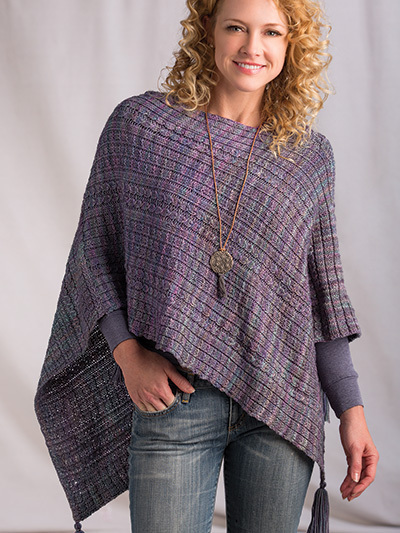 Our Aldington Poncho showcases lovely tassels in addition to a luxurious drape and texture, attained with a 4-row stitch pattern. 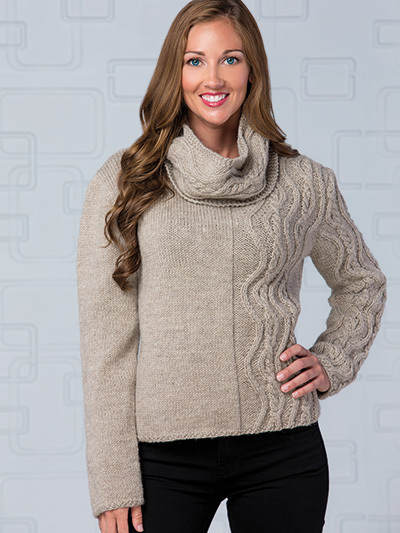 Suit up for sweater weather with a perfect pullover, such as our Sunderland Pullover. 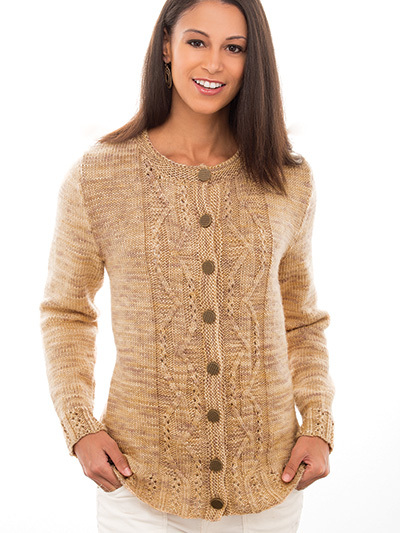 This comfy pullover with beautiful details is worked up in soft yarn and features a cozy cowl neck. Get fireside-ready with cuddly blankets and throws. 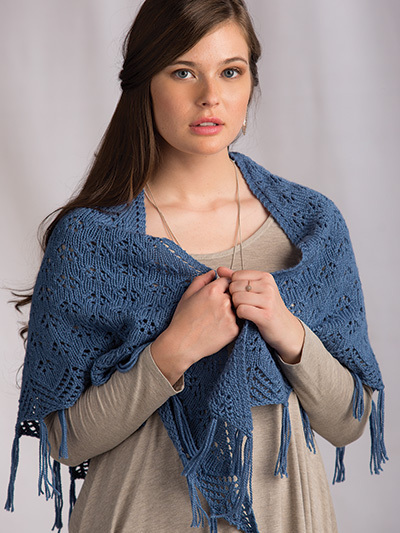 You’ll love our Sonora Shawl, a blanketlike wrap guaranteed to keep you warm and cozy this winter, whether you wear it out or snuggle up with it on the couch! 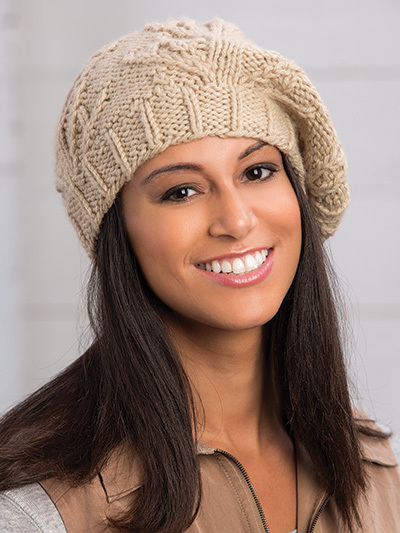 Plus, discover how to work the garter tab cast-on for a top-town shawl, and learn how to kitchener/graft together garter stitch knitting. 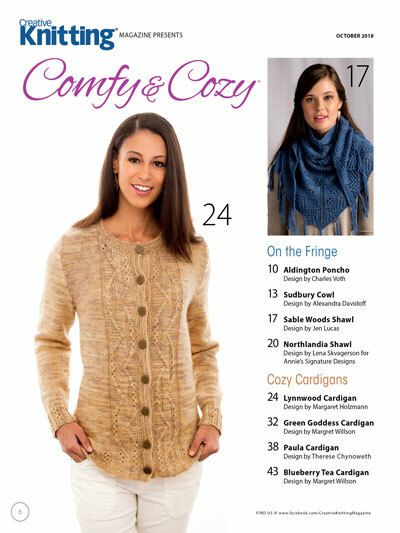 You’ll find all this and more inside this special issue of Creative Knitting, Comfy & Cozy. Download (or subscribe) today! 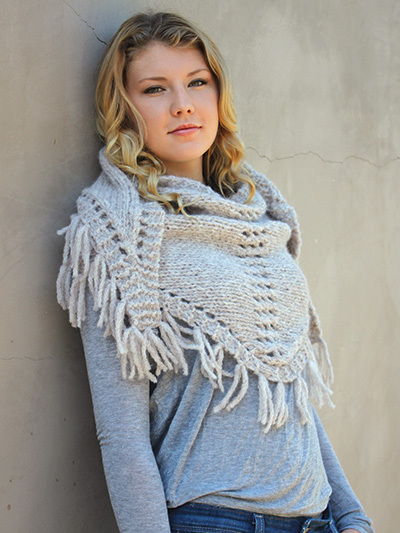 I only like sweater. I have so many pattern. I haven't do them all. Do this is a great book. 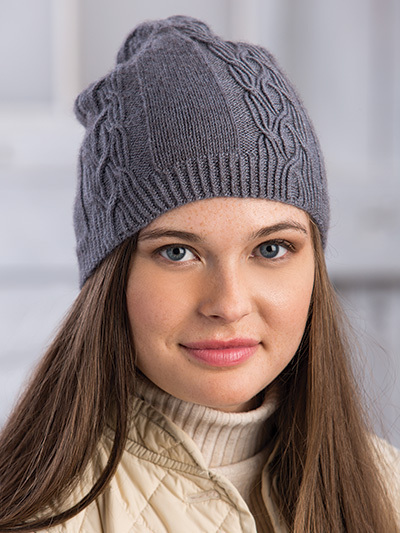 When I have chance I will try to knit them. Lots of great patterns. 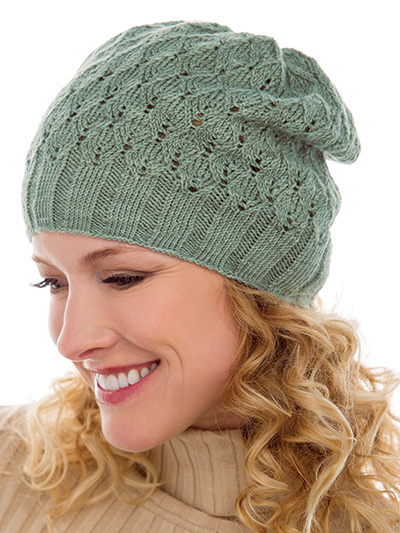 I particularly like the Rendale Hat on page 54. 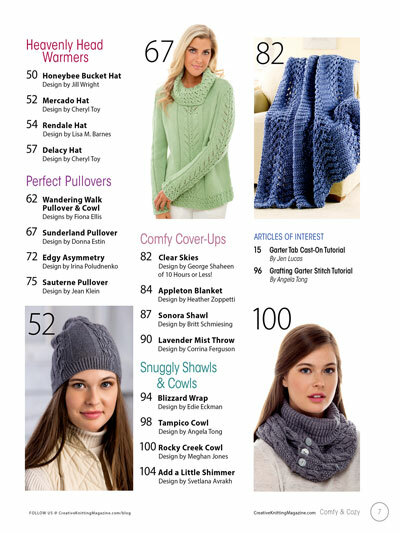 Yes, great magazine with plenty of patterns.